The simple fact of the matter is that nothing stays the same for long. Even the most beautiful buildings, most protected paintings, and even civilizations are set to one day vanish into dust. It was only a few years ago that the gaming industry made more than twice as much as the global box office, In 2013, the gaming industry earned $70.4 billion versus cinema’s $35.9 billion in revenue. While the film industry struggles with dwindling receipts, the enormous growth of the gaming industry has continued to this day. To the gaming community, this was no surprise, however, to use film nuts it came as a bit of a shock. We are all used to hearing how the latest Hollywood blockbuster had just smashed all-time records. Last year we all heard about how Wonder Woman and Black Panther both smashed box office records and opened the way for yet another year of superhero films. So how did games suddenly become king? Ever since the invention of the first computer, groups of individuals set about trying to use them to play games. The most obvious one is chess, which still remains one of the most popular games ever for video gamers. The main reason behind the success of computer games is the interactivity they offer. Being able to actually influence events rather than having to watch passively has been at the core of their success. Recent behavior trends that have become the norm thanks to the smartphone have shown just how much we all love the interactivity. It seems that most of us can’t leave our phones alone for more than 30 minutes before we need to play around with the apps we all love. While it would be impossible to write a comprehensive summary of video game history in this article, I want to highlight one milestone that is important. The release of blockbuster games such as Super Mario and Resident Evil led to a new phenomenon. Hollywood began to make films based on games. 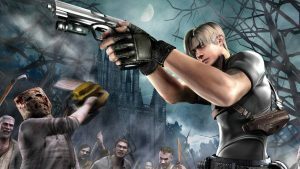 While the Super Mario film was a box office disappointment, the more recent Resident Evil franchise was extremely successful by Hollywood standards. However, simply by comparing the box office returns of the games vs. the movies, it is easy to see just how big the gaming market really is. The first Resident Evil game managed to gross a mesmerizing $467 million globally. This compares to the $141 million achieved by the first film. The game series has, to date, earned more than $5 billion, a figure which is around $3 billion more than the movie series. 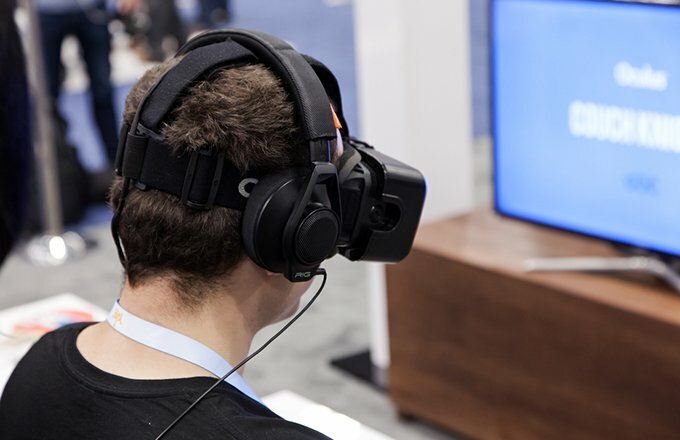 Virtual reality too has been growing enormously in recent years. One of the highest profile boosts to the industry came after Facebook bought out Oculus. Since then, lots of other big players including Samsung and Google have jumped into VR to get a piece of the action. In the last few years, filmmakers have begun to make full VR movies. These films allow users to rotate their heads 180 or a complete 360 degrees. This new medium will allow filmmakers to make the movie experience more realistic than ever before. However, these VR movies are still based on the film format. By this, I mean that while viewers can turn their heads around, they are still viewing a world that is controlled by a director. They are guided from one scene to another in much the same way as with 2D films. The main difference is that directors will have to rethink the way that they present the film as cuts will no longer be suitable. Has the merge already started? If VR movies do truly have the potential to become mainstream blockbusters, then we may have already seen the start of the demise of 2D film. Such things are almost always generational. However, such a shift from 2D to 3D film seems logical. Just as film replaced the theatre as a mainstream form of entertainment, so could 3D VR films replace our current form of cinema. 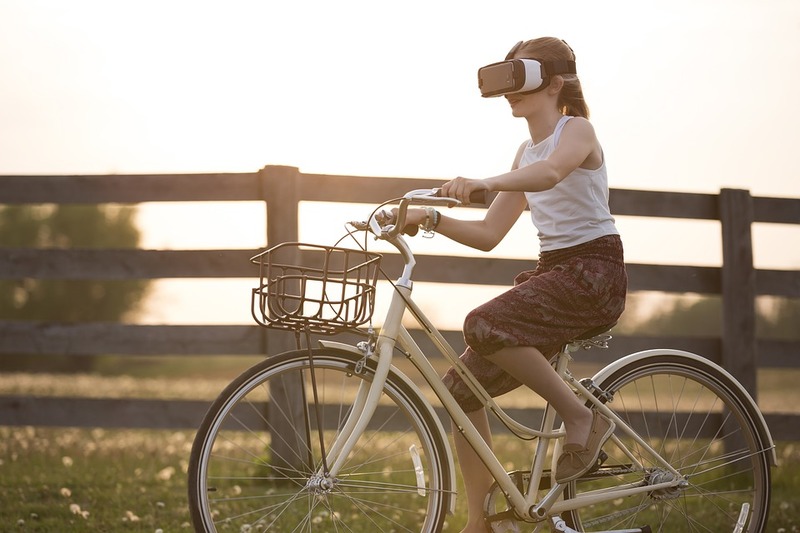 The fact that the primary focus of VR development is in interactive games will mean future generations will come to find it the norm to put on a helmet to plug in. The constant search for ever more realistic graphics will one day result in lifelike VR games that are indistinguishable from the real thing. So what will be the difference between VR films and VR games? This is the single most fascinating question that we will have to wait to see answered. What will the role of the director be in VR movies? In my opinion, while directors will continue to play a central role in setting up scenes etc. as VR develops their role as the creator of the action will diminish. It is likely that the director’s role will become more in line with a computer game designer, where he/she must arrange a world and its inhabitance so that players can interact with them. It will be the players/viewers who decide where to look and where to stand to view the action. Growing computer power will allow complex simulations of ‘real life’ actors where each action triggers a completely unique set of consequences. So, should a viewer choose to walk away from a meal table into a different room, for example, this will initiate a set of unique events/actions that will be different for everyone. In this way, every single viewer will be able to tailor-make their own unique ‘film’ experience. Such a powerful new interactive experience is almost certainly set to replace current 2D films. However, much like the subculture of people who continue to love the theatre, there will always be those of us who can’t resist a trip to the movies.